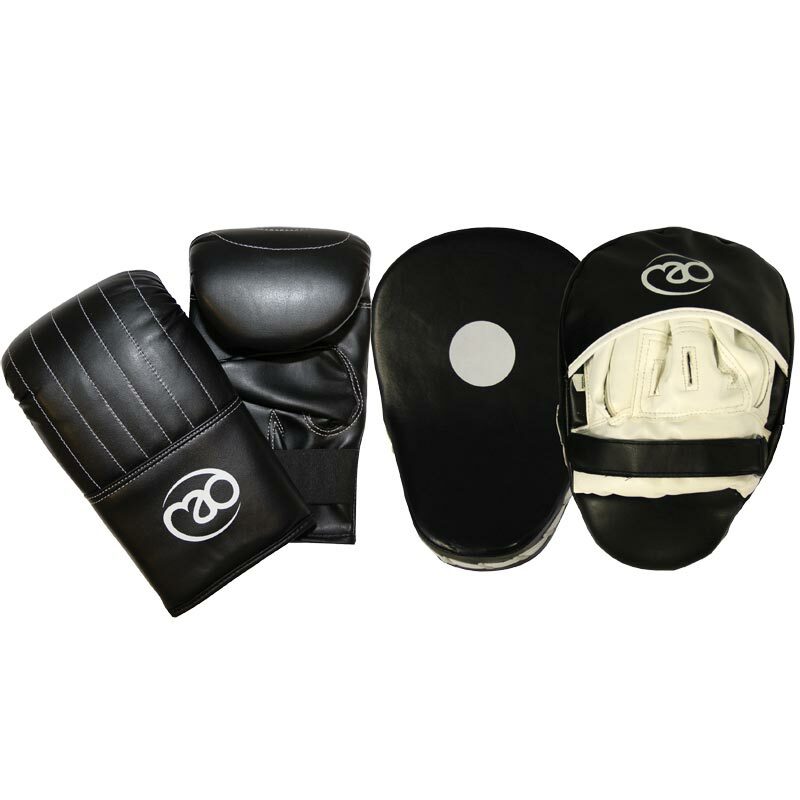 The Fitness Mad Synthetic Leather Gloves And Pads Set have been designed to provide a trainer with the best anatomical hand and wrist position when training with boxers. Ideal for developing speed combinations and accuracy. 1 x pair of Pads. PVC leather pad with dense shock absorbing foam. Pad with a Hook and Loop fastening wrist support. Pad is available in one size to fit all. Soft PVC leather construction gloves with dense multi-layer foam protection. Elasticated wrist for easy on/off access, providing a comfortable and secure fit. Glove with a soft synthetic leather outer. Gloves are available in 4 sizes. My eleven year old son had these for Christmas. He is really enjoying using them. We would buy them again.